Last night, the Anne Boleyn gown reached an important benchmark. 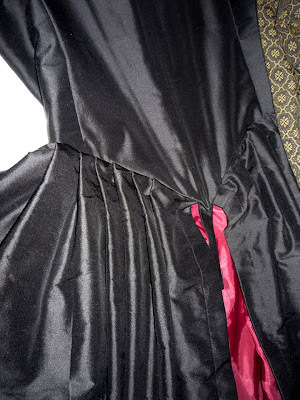 Several yards of fabric were pleated, gathered, basted and finally sewn into place, giving the dress a sense of completeness. 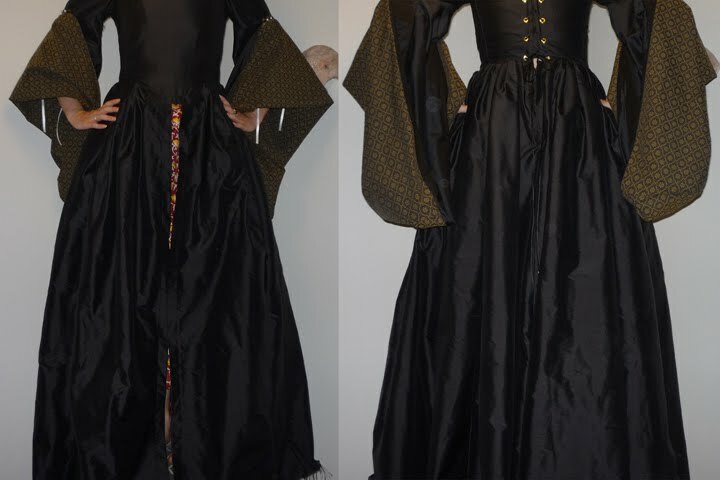 Don't get me wrong, there are still hours of work ahead of me to complete the overall costume: hemming, fore sleeves, french hood, kirtle, possible farthingale (hrm?)... but it feels like a gown now. I can walk around and not get poked by pins. I can twirl frivolously, flaring the luxurious silk all about. 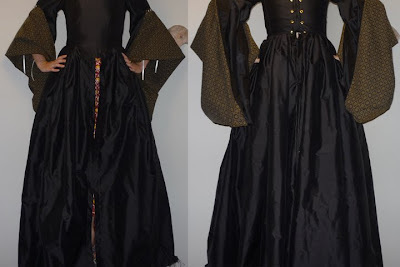 At this point, when I slip it on, I can feel my inner Anne Boleyn coming out. Sass, intellect, sensuality, strength. I like it. Holy cow! Your dress looks beautiful, Shannon. Your car bruise will be worth it in the end. :) Thank you again for playing DJ while driving to Knoxville. Me - I happen to like you too, Mike. Raccoon - My car bruise is nearly faded. Thank heavens! 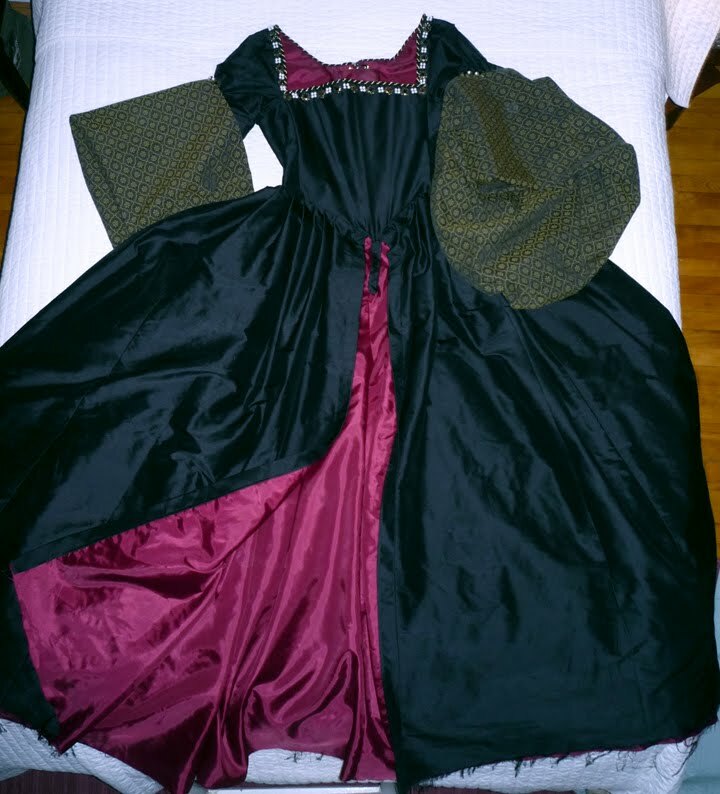 You'll get to see the gown in person tomorrow for Craft Night. Aren't you excited? Steve, I'm a fancy sort of lady.